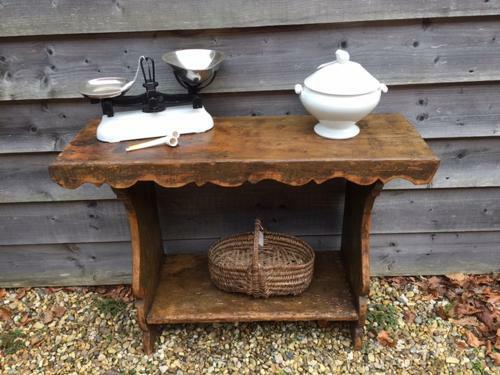 19th Cent Primitive Hall Table with simple country look. Shelf below and decorative front frieze. Orinianl worn paint in a drab Umber and greens. nice primitive look. Would make a good lamp table in hallway etc.